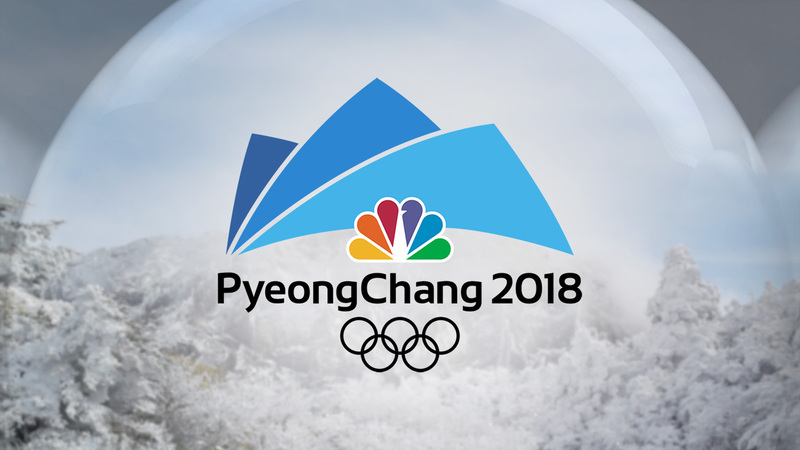 NBC’s coverage of the XXIII Olympic Winter Games from PyeongChang are set to kickoff Thursday, February 8, at 8 p.m. Ahead of the start of more than 2,400 hours of coverage, NBC has released a breakdown of its efforts this Winter Olympics. 900+ Million Dollars generated in national ad sales for PyeongChang 2018, a Winter Games record. 2,500– Employees working in PyeongChang. 2,400+ Hours of coverage from PyeongChang, most ever for a Winter Olympics. 2,200– Terabytes of video disk storage (8.5 years’ worth of time) in PyeongChang. 1,800+ Hours of live streaming coverage, most-ever for a Winter Olympics. 1,600 – Color broadcast monitors in NBC Olympics’ facilities in PyeongChang. 1,000 – Employees working in NBC Sports Group’s International Broadcast Center in Stamford, Conn.
550 – Total cameras used for the OBS host feed. 156 – Additional cameras used by NBC Olympics. 127 – Miles of cable to be used by NBC Olympics in PyeongChang. 126+ NBCUniversal’s coverage hours per day – nearly triple the entire coverage of the 1976 Innsbruck Winter Olympics (43.5) on ABC. 108 – Number of HD feeds going from PyeongChang to the United States. 102 – Total number of medal events, most ever for a Winter Olympics. 99 – Number of sea containers shipped to PyeongChang by NBC Olympics. 89 – A record 89 NBC Olympics commentators will present coverage of the PyeongChang Games, the most-ever for a Winter Olympics. 54 – Years since NBC’s first Olympic broadcast (1964 Tokyo Games). 29 – Edit suites located in the NBC Olympics compound in the International Broadcast Center and venues in PyeongChang. 17 – Studios and control rooms used for NBC Olympics coverage (three studios and two control rooms in PyeongChang; five studios and seven control rooms in Stamford). 16 – Number of Olympic Games (including PyeongChang) broadcast by NBCUniversal, most by any U.S. media company. 15 – Number of sports featured in PyeongChang, comprising 102 medal events. 14 – Number of hours PyeongChang is ahead of the U.S. Eastern Time zone. 13 – Average low temperature in PyeongChang in February in Fahrenheit. 10 – Total number of days of 24-hour Olympic event programming. 4K – NBCUniversal’s comprehensive coverage of the XXIII Olympic Winter Games will include the availability of 4K High Dynamic Range (HDR) content to cable, satellite, telco providers, and other partners. 2 – Helicopters providing aerial footage. 1st – First time NBC’s primetime show will be broadcast live across the country.